Photo by Courtney Deutz via Minnesota Daily. University of Minnesota’s College Republicans group added a panel to the Washington Avenue bridge the which states that “the proposed pronoun policy mocks real social issues,” in reference to a newly proposed university gender expression policy. 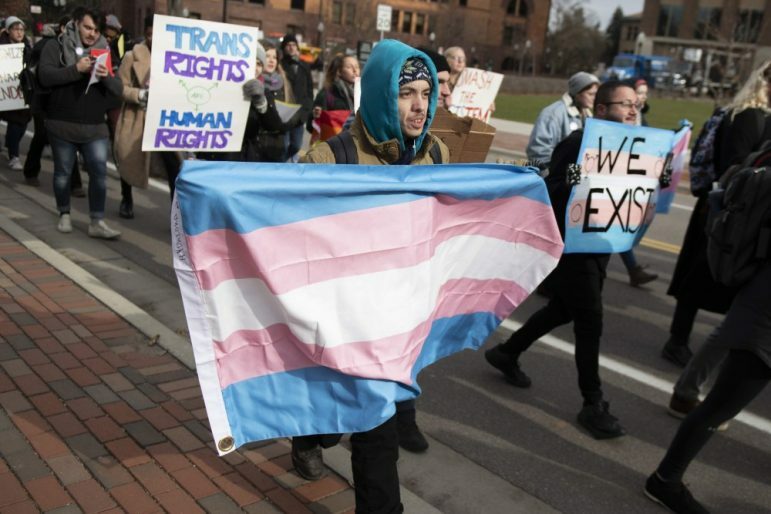 Thursday, Nov. 8, 2018, students and faculty marched across the bridge in protest to the panel and the marginalization of the transgender community that it represents. Find the full story at Minnesota Daily. The Minneapolis College Division of Equity and Inclusion announced addition of permanent staffing with the goal of increasing opportunities available to members of marginalized groups in the Twin Cities area. “The phrase ‘All are welcome here’ is more than just a clever phrase on a sign around campus; it’s a way to capture the work of our highly-credentialed and connected staff who are positioned to move the needle on creating opportunities for underrepresented students to excel.” said Dr. Jay Williams, chief diversity officer of Minneapolis College. Read more at Insight News. Local businesses being forced out of their properties to make way for luxury housing complexes is nothing new to Minnesota. As more small businesses are replaced by luxury housing, there is an increased call for the city of Minneapolis to make a change and create policy to circumvent the rapid spread of gentrification. The 1400 block of Nicollet Avenue just lost many of the local businesses that had been situated there, some for almost two decades. “We all want Minneapolis to improve, but it seems like in order for that to happen, we have to leave,” said Nasro Abshir, Operator of First Choice Child Care. Read the rest of the story at The Journal. One Minnesota governor transition advisory board assembled Led by Lieutenant Governor-elect Peggy Flanagan, a team of 30 people from across Minnesota has been assembled to aid Tim Walz during his transition into the office of governor. Among others on the board, Abdirahman Kahin of Minnesota’s award-winning Afro Deli and Jaylani Hussein, a Somali native and the leader of the Minnesota chapter of the Council on American-Islamic Relations (CAIR) both hope to use their seats at the table to bring the perspective of the African immigrant community to the policy making of the state government.